My Random House book, The Campaign of the Century: Upton Sinclair's Race for Governor -- and the Birth of Media Politics, was recently re-issued in new print and e-book editions. 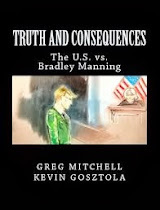 Campaign won the Goldsmith Book Prize, was one of five finalists for the Los Angeles Times Book Award, and served as the basis for an episode in the PBS The Great Depression series. The modern political campaign--dominated by advertising tricks, political consultants, "spin doctors," and attack ads on the screen--was invented in this 1934 campaign. 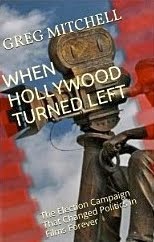 It was one of the dirtiest campaigns ever and also marked Hollywood's first all-out plunge into politics, after socialist author Sinclair swept the Democratic primary on August 28, 1934. Sinclair's End Poverty in California (EPIC) crusade was one of the great mass movements in U.S. history, and the links to today's economic crisis, media trickery and political climate are profound. The cast of characters in this wild and very entertaining tale reads like a "Who's Who," from FDR and Hearst to Will Rogers and Katharine Hepburn. Chairman of the GOP campaign? Earl Warren. And so on. FDR basically sabotaged Sinclair (and see their meeting here). The movie moguls actually threatened to move their studios to Florida--and then docked each of their worker, including top actors, one day's pay that went straight into a slush fund for Sinclair's hack opponent. More on the Hollywood angle here. You may enjoy the three videos below, including a look at the first political "attack ads" using the screen to destroy a candidate--the infamous faked newsreels created by Irving Thalberg and MGM. My lengthy piece at The Nation takes a broader look. question: Amazon.com description is a second edition. Are there changes/additions to the original now OOP book? Thanks. 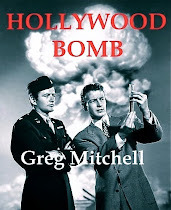 Greg Mitchell replies: The new edition has a lengthy foreword by California writer Peter Schrag not in the original. 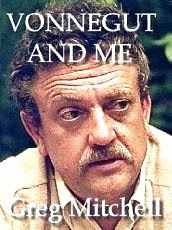 I read your book several years ago when it came out. What a fascinating look at an overlooked period of California history and phenomenal time for a re-issue. 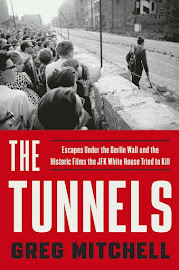 I have recommended or purchased copies of the book for several friends. I would like to purchase your book, but I am boycotting Amazon. Please tell me how else I can purchase it! Excellent site, keep it up the great work. Wow! This could be one particular of the most beneficial blogs We have ever arrive across on this subject. Actually Excellent. I am also a specialist in this topic therefore I can understand your hard work. Two of the biggest names in Music history, only can be described﻿ as. Pure Magic and Legends. Why do people just keep comment on blogs without following instructions just to gain link back to their website. For me it is not a good idea all admin must be aware of those people trying to gain links. Its such you read my thoughts. material grasp a lot approximately this.,as if you wrote the booking it or something like that. In my opinion that you simply could use some percent to pressure the massage house a little, but rather than that, that's excellent blog. An incredible read. Awesome post I've discovered it today. Your website provided us very useful information in order to work of art. You've carried out the most remarkable exercise as well as the whole community which is more grateful in order to you. I don't usually comment on blogs but as I see this blog I fully inspired to make one compliment that I know that not enough for the meaningful context on your writing as one that could understand easily. that is a good book. Greg's is the definitive story of the EPIC Campaign, one that I return to again and again. 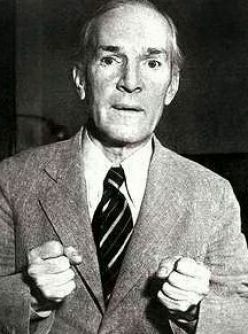 And I'm hoping I've written the definitive biography of Upton Sinclair--check it out! good topic. thank for sharing.